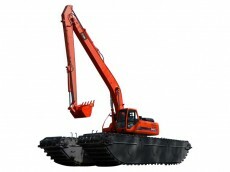 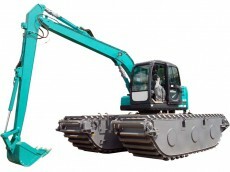 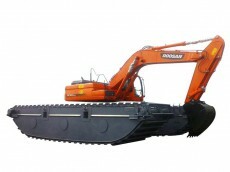 Designed to maneuver through swampy areas with soft underfoot terrain where traditional excavators cannot go. 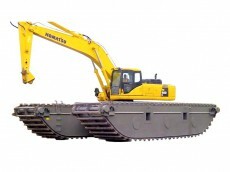 The machine crosses swamps, ditches, lakes and waterway with ease. 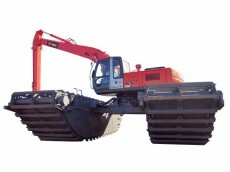 Application include dredging, landscaping, erosion control & prevention, deepening waterway and maintaining cleaning rivers, lakes and shorelines. 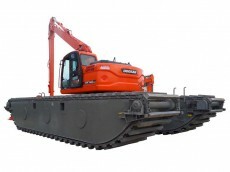 TSBC Engineering has proudly emerged as one of the fastest growing Asian manufacturer for amphibious excavators, super long reach and other attachments. 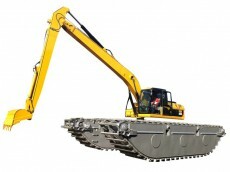 86100, Ayer Hitam, Johor, Malaysia.